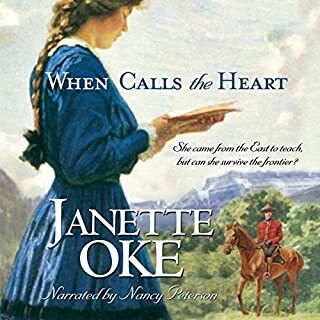 I received a copy of this audiobook from audiobookblast in exchange for an honest review. I am on the fence with a positive review for this audiobook for a number of reasons. To start off, the story centers on a quintessential Italian family with multiple generations living under one roof. Bella, narrating in first person, likens her family to the Clampetts from The Beverly Hillbillys even though there are way more characters in her story. 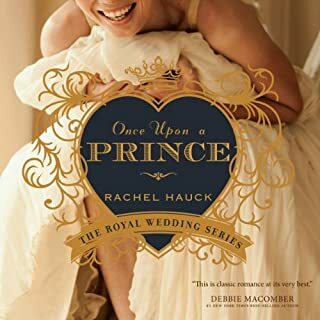 She makes some major mistakes along her journey of taking over her family business of wedding planning and the gaffs ala Lucille Ball ensue. Where the ball gets dropped is in 30 minutes this story still has 10 hours left. There were several points on the positive side of the fence for this book. Introduction to the family gives insight into the struggles at each age and offered something for everyone. In fact, the overall message of the book was an uplifting one. Descriptive images offered by the author provided a myriad of pictures in my mind for the people and places. Also, the male love interest was adorable. His character and actions were so realistic that I fell in love. This character alone could sway my positive review! The negative side of the fence is a lengthy one, though. The positive message becomes a bit preachy after a while. I am a daughter of missionaries and we don't even scripture pound this much! I get it, this audiobook gives people who wouldn't normally hear this message a chance to be exposed but there was a point at which the Uncle was trying to "save the bird's soul" that I had to cry fowl (corny, I know but then again so were parts of this audiobook). The multiple characters involved did cause a fair amount of confusion. When each garnered their own subplot I had to cry foul, also. Although the lead male was a curry, it seemed as though each of the younger characters were described as gorgeous so it did lessen the value of the description. The presence of singers Dean Martin and Sinatra in their songs and the theme of one of the restaurants owned by a family member was way too overdone. Oh, and don't get me started on Bella's father. 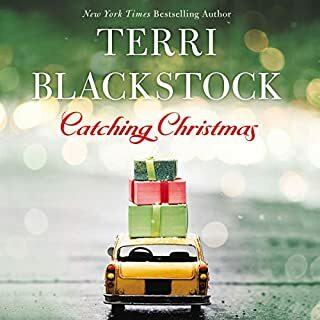 He let her take over the wedding business and then it seemed as though he just disappeared except to play basketball and then was a around at a wedding. What? He gave over his business and then didn't advise or at least check in? Everyone is in everyone's business, and this is kept quiet? This were just a few of my questions in the negative category. On a different note, the narrator did a believable job. I would listen to her again because of her crossover to Italian from the Texan accents. Overall, the the audiobook was a good one. The fence issue is yet to be decided because I waffle back and forth. You can decide. Hilarious and full of surprises! I thoroughly enjoyed this Christian romantic comedy. Can't wait to read Book 2! Humor runs in cowboy boots thru this story. The trials and times of wedding planner putting together a boot scootin wedding, cowboy and Italian families work together making lots of fun as their cowboy and wedding planner fall in love making a wedding for someone else. Laugh out loud funny! I read the story several years ago when I was recovering from surgery and had to hold a pillow against my stomach from laughter. The narrator is excellent in bringing all that humor to the forefront and letting it shine. My heart feels lighter after this story! 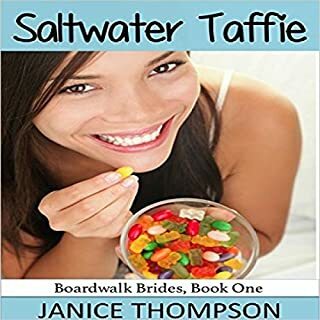 This is a great book written by Janice Thompson; this is the first book in the Weddings by Bella series. Bella Rossie’s parents handed over the family wedding planning business. Her first wedding she plans a “Boot Scoot’n” wedding, but has no idea what she is doing since she has never listened to anything country. She ends up getting help from a good looking DJ. 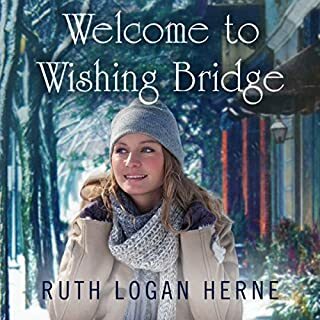 The characters in this book are great and you will love them. If you are looking for a great romance, with humor then you need to read this book. I can’t wait until the next book comes out. The narrator Elan O’Connor did a good job with this book, and was very easy to listen to. He did a great job with the different voices of each character in this book. It was very easy to listen to in one sitting and I didn’t want to stop listening until the end. I have enjoyed every book that Sophie has done so far. She has an upbeat way that she reads, suited for this type of book, sort of a comedic style. She has some pretty good male voices, but the voice she used for the main male character was just like the son on King of the Hill, so I kinda wished she'd used one of her other male voices for him. This is in Texas, and I didn't notice much of a southern accent. She also does some thick Italian accents that lilted into a little Scottish sounding at times. I enjoyed the story, it was ok, definitely a light read with a lot of somewhat over the top antics that contribute to it being light and comical. So, no deep story here. There are a lot of spiritual elements which I didn't realize would be a part of the story, but I'm ok with that. So, I guess in a nut shell, it's light & fluffy and even though it's a little over the top, I did enjoy listening to it! Would you consider the audio edition of Fools Rush In to be better than the print version? I always listen to audio books first so I would have to say yes. What was one of the most memorable moments of Fools Rush In? All the descriptions of an Italian family were spot on! Great family oriented story with some religious undertones. Loved it! Fools Rush In is a laugh out loud experience! I was amazed at the negative reviews on Goodreads for this book. Yes, it is Christian Romantic Comedy. People are thrown by the Christian part. Have any of them ever met Southern Baptist type people? My mother-in-law is Texas Southern Baptist "bless her heart" all the way. It was FUNNY people! Maybe something is lost in translation if you don't listen to the book. Elan O'Connor did a great job with the accents ranging from Italian to "way down South", to parrot (yes, I said parrot). I do think hearing the voices probably added to the story quite a bit. If you like to laugh, this is a great audio book for you. From the first mistake of Bella hiring a guy to DJ at a wedding only to find out (while they are talking with the bride and groom) that he's not a DJ...his initials are D.J., to a nearly featherless, godless parrot swooping down from the rafters during the rehearsal to take off with a perfectly styled toupee, I laughed all the way! I was given this audio book free in exchange for an honest review. 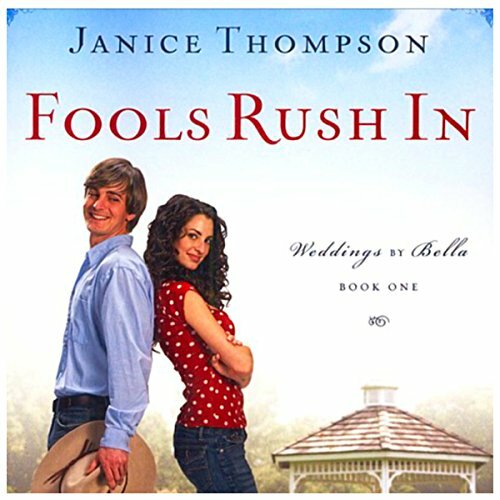 Fools Rush In: Weddings by Bella, Book 1 by Janice Thompson is a nice christian book! I liked it a lot! It can be looked at somewhat boring! I am not sure, but i don't think it is a book for all. i think you will love or hate it, and i liked it a lot. 4,4 out 5 much! So i will recommend it to people. I like that there is some christian crime books, and therefore i do recommend it! A length of 10 hrs and 38 mins is made better with Elan O'Connor. I love her voice work. She has a christian voice! I think maybe her voice to "christian" at times, she sounds a bit "over the top" nice. i like it, i do. I would rate her voice 4,4 out of 5!